The rail guided lift P-WALLIFTBOX lets you install CinemaNext's Boothless Cinema Solution P-SBOX15 on the top of the back wall, in the screening room and lower it to its service position. 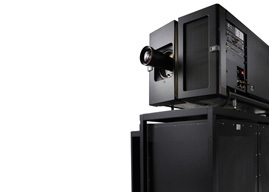 The combination of the Boothless Cinema Solution P-SBOX15 and the lift P-WALLIFTBOX allows the installation of a DCI digital projector inside the screening room. You don't need to build any projection booth, thus dramatically reducing the investment and at the same time increasing the number of seats. 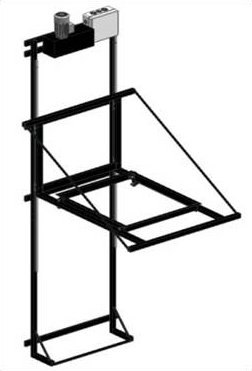 P-WALLIFTBOX is professionally engineered, includes a strong and reliable motorisation capable of lowering your projector between 3 and 5 meters depending on the selected model.